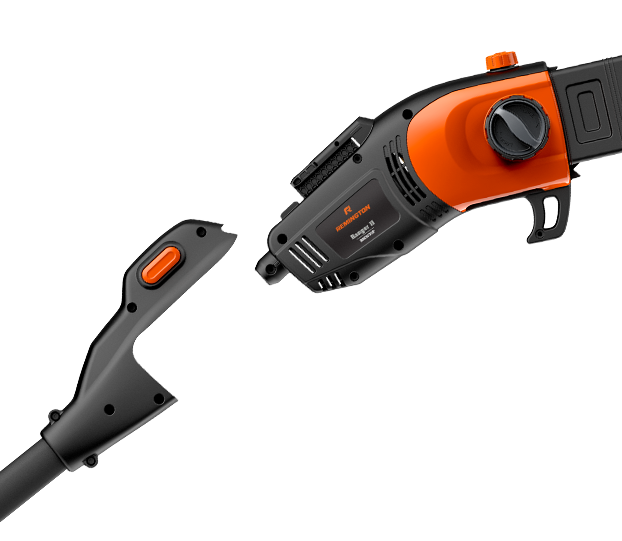 Make adjustments a breeze and less of a hassle with Tool-Free Chain Tensioning. 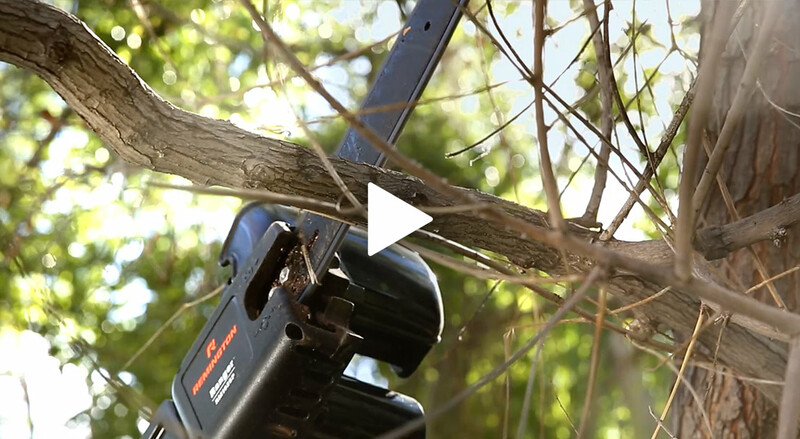 Make tool-free conversion between pole saw and chainsaw quick and easy with quick release buttons. 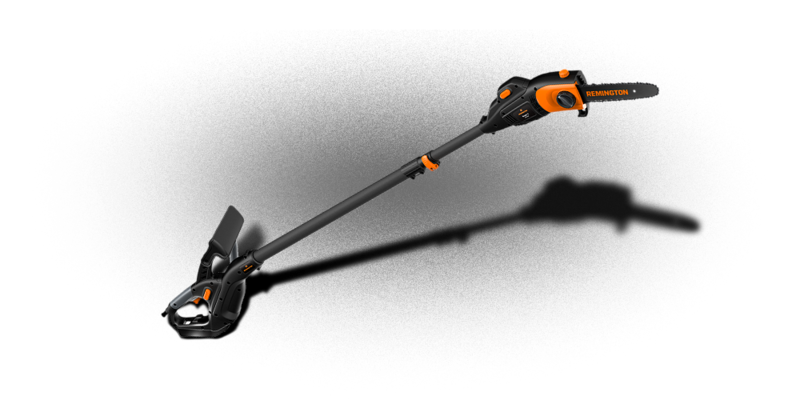 Features an electric start, 8-amp inline motor for balance and snag-free use. 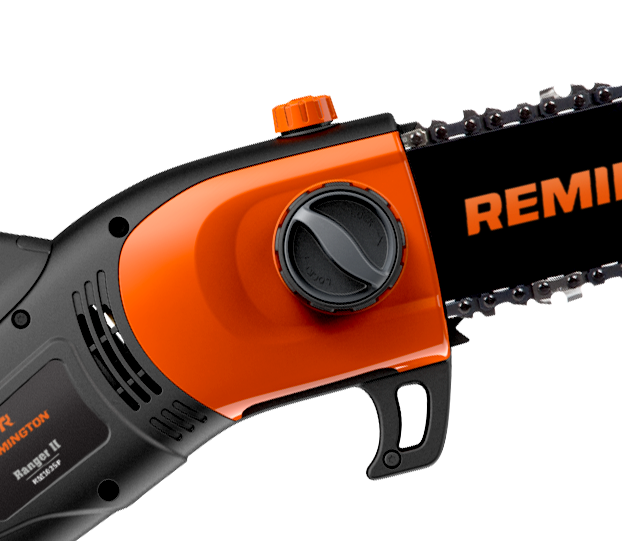 This 2-in-1 pole saw/chainsaw features a full wrap handle allowing for more maneuverability and versatility while cutting. 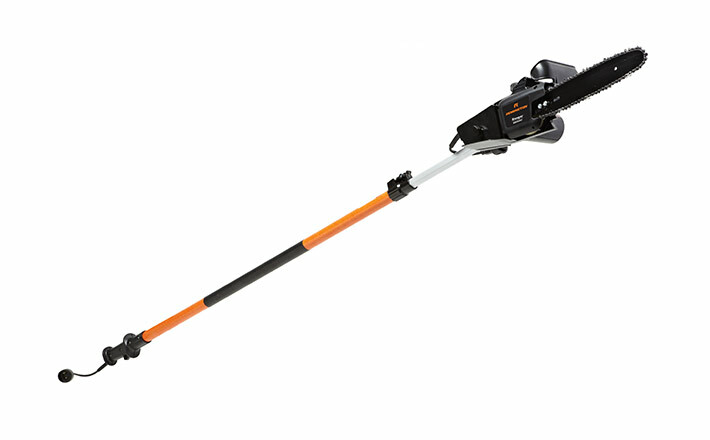 And because the cord and handguard are always at the bottom of the pole, there are fewer snag hazards when you’re in pole saw mode. 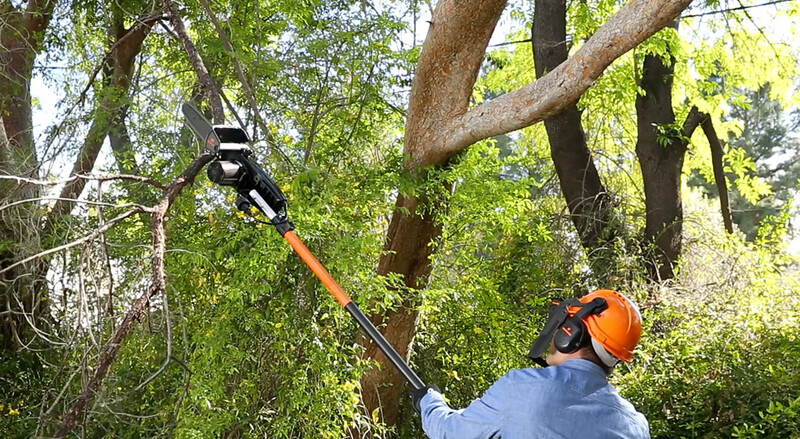 That’s good when you’re trimming branches up above your head. 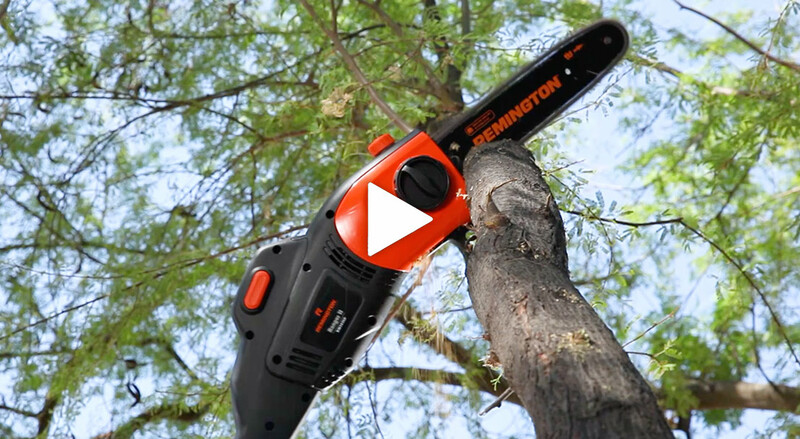 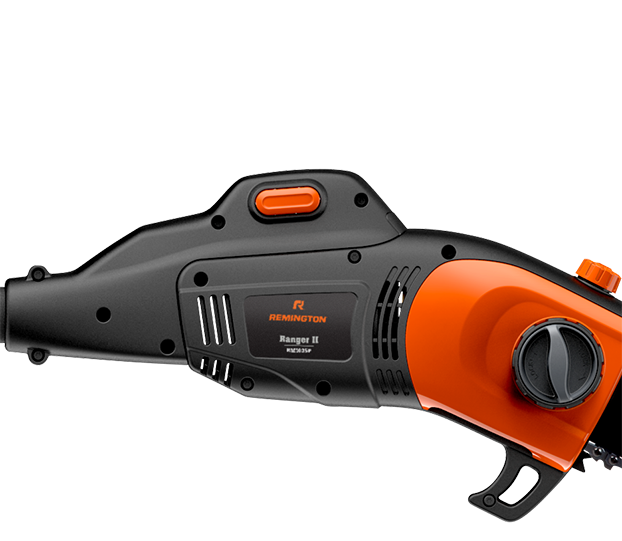 It also features a push-button quick change that allows you to convert to a chainsaw easily, without tools, so you can cut up those downed branches in no time.